PRIOR events in 2019 are here. Documentaries, Videos of Interviews, and Commercial Movies of Interest to AFIO members can be found here. 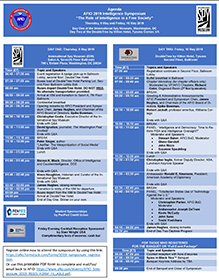 Friday, 10 May is Day Two at the DoubleTree by Hilton, Tysons and features a full day of speakers and panels. The day starts with a welcome and orientation by James Hughes, AFIO President, former CIA and NSA, and M.E. Spike Bowman, AFIO Chairman, former Navy, NSA, FBI, ODNI, followed by a presentation by Robert Jackall, Professor Emeritus, Williams College. The morning panel is moderated by Robert S. Litt and covers "Intelligence and Democracy: Time to Rethink FISA and Intelligence Oversight." It features panelists Glenn Gerstell, John Rizzo, Suzanne Spaulding. Our luncheon keynote will be Chris Inglis, former Deputy Director, NSA. Amb. Ronald Neumann, President American Academy of Diplomacy, follows. 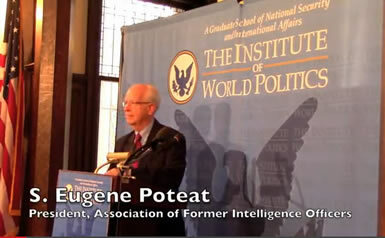 Christopher Parker's afternoon panel on "Totalitarian States Use of Technology Against the U.S." features panelists Amb. Joseph DeTrani, Kevin McCarty, John Sano, and Toshi Yoshihara. Day Two also includes buffet breakfast and lunch. This second day will close with an evening cocktail reception and our "Spies in Black Ties" Banquet. Day Two Daytime program will begin at 9 a.m. (buffet breakfast and chapter workshop begin at 7 a.m.) Daytime program ends at 4:30 p.m. Cocktail reception and "Spies in Black Ties" Banquet from 6 to 9:30 p.m.
Wednesday, 10 April 2019, 1130 - Albuquerque, NM - AFIO New Mexico Chapter discusses "The Spy and the Traitor"
Location of event: "The Egg & I" restaurant on Menaul just east of Louisiana, next door to Chili's. Fee to attend: Meeting is Free. Our meetings are normally open to present and former members of Federal, Military (uniformed and civilian), State and Local Agencies and selective others who support the Intelligence Community. 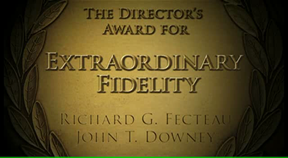 Wednesday, 10 April 2019, 7 pm - Las Vegas, NV - The AFIO Roger E. McCarthy Las Vegas Chapter hears from John Getter on "Choosing Excellence." The AFIO Roger E. McCarthy Las Vegas Chapter has a full program of business and speaker presentation at this April 10 meeting. President Schiffbauer will update the chapter on activities (new and old business) and there will be a presentation by John Getter. John Getter is a professional speaker, trainer, consultant and recovering television journalist. He began his career at a small town radio station while still in high school. Last year, he was part of the team nominated for a National Emmy Award for NBC News coverage of the October 1 shootings. He has served major media outlets and consulted with private and public sector clients and political candidates. John is the author of three books about space exploration that are available on Amazon Books and other outlets. As the space and science reporter for KHOU-TV (CBS), John provided in-depth coverage of the first 35 space shuttle missions. He was a regular contributor to and consultant for CBS News, regularly seen in more than 100 countries and on CNN. He continues his broadcast journalism producing coverage for several American and International Channels. And that's where he had some adventures as he worked to cover his beat – the shuttle program – as they were testing their ability to operate in secret. John led projects involving both the Russian MIR and International Space Stations, leading teams in Russia and the USA. Timing: 5:30 p.m. - Enjoy the Los Prados Club restaurant and bar; 7 p.m. - Call to Order -- G. Schiffbauer; Pledge of Allegiance & Moment of Tribute -- G. Schiffbauer; Chapter Update – G. Schiffbauer; New Business; Adjournment of Business Meeting; Raffle Drawing. RSVP: Linda Cohn, Chapter Secretary, at lasvegasafo@gmail.com or call 702-239-1370, if you have any questions. The chapter looks forward to seeing you! Mr. Schonander will discuss what the Trump Administration's trade, investment, and export control policies portend for the U.S.-China economic relationship. RSVP Required and can be done here. There is no fee to attend. Questions to Frank Fletcher at events@dmgs.org. Daniel Morgan Graduate School of National Security reserves the right to refuse entry and may ask for government issued photo identification. The AFIONE meeting schedule is as follows: Registration & Gathering, 1000 - 1030; Membership meeting 1030 - 1045; Morning Discussion Session 1045 - noon; Luncheon at noon - 1300. The Morning session will be open discussion. Our afternoon speaker will be from 1300 - 1430 with adjournment by 1500. The Morning session will cover various business-related items, general discussion regarding recent events of interest to the membership and a presentation by one of our members. Our morning presentation will be a review current issues in fraud and protection countermeasures covering identity theft. Our afternoon presenter is Kenneth Gray, one of our members who has recently published in the Academy of Criminal Justice Science (ACJS) journal an article along with a former student on research they conducted on the threat of hobby-level drones potentially being used as a weapon, and a look at the current technology that could counter this threat. In their research they found the majority of law enforcement agencies are both unaware of the threat and are ill-equipped to counter this threat. ********Luncheon reservations must be made by 17 April 2019. ************** Paid in advance the cost of the luncheon is $25 per person. Mail name of attendee and any guests to: AFIO/NE, Sarah Moore, PO Box 1203, Orange, CT 06477. The GEOINT 2019 Symposium returns to San Antonio, Texas, June 2-5. Before we gather for a week of training, learning, exhibiting, and networking, USGIF wants to share with you what our partners at NGA will be looking for as well as what they plan to showcase at GEOINT 2019. Join us for breakfast at Maggiano's on Tuesday, April 23, to hear from: Sandra Auchter, Deputy Associate Director of Capabilities, NGA; William Caniano, Director, Office of Corporate Communications, NGA; Christy Monaco, Chief Ventures Officer, Office of Ventures and Innovation, NGA. Event Type:Social/Networking, Regular registration starts on Jan 31, 2019 and ends on Apr 23, 2019. Late registration starts on Apr 24, 2019. Challenges and Opportunities for US - Japan - Korea Trilateral Security Cooperation is the topic of the presentation by James L. Schoff, Senior Fellow, Asia Program, Carnegie Endowment for International Peace, being given at the Daniel Morgan Graduate School of National Security. 3 May 2019, 11 am - 2 pm - Arlington, VA - Naval Intelligence Professionals Spring/Red Tie Luncheon to hear CDR Wiley on "Does Analytical Excellence Still Matter?" Speaker will be Neil Wiley, CDR, USN (Ret), a member of the Defense Intelligence Senior Executive Service (DISES) and is the DIA Functional Manager for Analysis. With over 30 years of experience in the national security arena, Mr. Wiley has served both as a naval officer and civilian intelligence professional. He leads DIA's all-source analytic effort across the regional, functional and S&TI portfolios, producing Defense Intelligence in support of policymakers, military planners and warfighters, and defense acquisition. Mr. Wiley also serves as Functional Manager for all-source analysis for the Defense Intelligence Enterprise, responsible for the alignment, quality, and integrity of the analytic output of the DIA, the service intelligence centers and the combatant commands. At the luncheon, we will also be pleased to honor Ms. Lynn Wright as the annual Red Tie award recipient for 2019. Timing: 1100-1200 - No-Host Social; 1200 -1300 - Luncheon; 1230-1300 - Mr. Neil Wiley - Guest Speaker (Confirmed): Topic -- Does Analytical Excellence Still Matter?. Registration Closes 26 April 2019. To register online do so here. Please remember to include your menu entree selection - Salmon or Chicken or Vegetarian - when registering via mail. Location: Army Navy Country Club in Arlington, VA, The ANCC is a world class venue located conveniently near Suitland and minutes from the Pentagon in Arlington, VA, with spectacular views of the Capital and abundant free valet parking. Timing: Reception at 7 pm, program begins at 7:30. The Society for Military History is holding is Annual Conference in Columbus, Ohio, from May 9-12, 2019. The 25th Annual Conference of the International Intelligence History Association will be held at the Spy Museum in Berlin. Further information will follow closer to the date. Monday, 13 May 2019, 5:30 p.m. - New York, NY - AFIO NY Metro hosts Jeff McCausland, discussing "Battlefield Nuclear Weapons in South Asia." 16 May 2019, 6 pm - Washington, DC - "Night of Heroes Gala 2019" by the PENFED Foundation. GEOINT 2019 is hosted and produced by the United States Geospatial Intelligence Foundation (USGIF), a non-profit, non-lobbying educational organization, the annual GEOINT Symposium is the nation's largest gathering of industry, academia, and government to include Defense, Intelligence and Homeland Security Communities as well as commercial, Fed/Civil, State and Local geospatial intelligence stakeholders. The event annually attracts more than 4,000 attendees from all over the world, features more than 250 exhibiting organizations, offers 50 hours of training sessions, and countless opportunities to learn, exchange ideas, and network. The event is held at the Henry B. Gonzalez Convention Center in San Antonio, TX. Need support for your request to attend? Download the GEOINT 2019 Justification Letter. Monday, 10 – 12 June 2019, 8 am - 5 pm – Queens County, NY – IAFIE 15th Annual Conference Featuring John Miller, Deputy Commissioner of Intelligence & Counter-terrorism, NYPD. The International Association for Intelligence Education expects many excellent papers and panels at their upcoming annual conference in New York City. Several distinguished speakers will include John Miller, Deputy Commissioner of Intelligence and Counterterrorism, NYPD. Don't miss this great opportunity to network and get the latest developments in intelligence education. Consider bringing any interested students to the conference. There is another wonderful student poster competition planned and your students' participation is welcomed! Event location: St Johns University, Queens Campus, NY. Accommodations arranged with Courtyard New York Queens/Fresh Meadows, or Fairfield Inn & Suites NY Queens/Fresh Meadows. Shuttle services between both locations and the conference location will be available. The campus is conveniently situated halfway between Laguardia and JFK airports. To register: do so at this link. The AFIONE meeting schedule is as follows: Registration & Gathering, 1000 ― 1030; Membership meeting 1030 ― 1045; Morning Discussion Session 1045 to 1200; Luncheon at 1200 - 1300. The Morning session will be open discussion. Our afternoon speaker will be from 1300 ― 1430 with adjournment by 1500. The Morning session will cover various business-related items, general discussion regarding recent events of interest to the membership and a presentation by one of our members. LOCATION: The AFIONE chapter meeting will be held at the MIT Endicott House in Dedham Mass. Their website is here. Address is: 80 Haven Street, Dedham, MA 02026. Should you elect to stay at the Endicott House, Mike Assad has arranged a room rate of $140.00. Please mention AFIO/NE and Mike Assad when you make your reservation. Reservations are $25.00 per person. Emails regarding your plans to attend will be accepted if you are late meeting the deadline. These must be sent to Sarah Moore no later than 7 days prior to the event. Paid in advance the cost of the luncheon is $25 per person. Mail name of attendee and any guests to: AFIO/NE, Sarah Moore, PO Box 1203, Orange, CT 06477. 19 - 21 August 2019 - Sydney, Australia - The Australian Institute of Professional Intelligence Officers (AIPIO) holds their National Conference with theme: "An Emerging Intelligence Enterprise"
The AIPIO has issued a call for papers for its 2019 National Conference to take place August 19-21 in Sydney. The conference theme is "An Emerging Intelligence Enterprise" in Australia with a focus on capability planning, workforce/organizational development and analytic rigor. Proposals (300 word abstracts) are due by April 15, 2019 with a decision date of April 29, 2019. Papers will be due June 15, 2019 and with author approval will be published following the conference in a special issue of the AIPIO Journal. CFP and conference details can be found here. The North American Society for Intelligence History (NASIH) holds its inaugural conference at the International Spy Museum, Washington, DC. Presentations and papers will cover: Analysis, Covert action, Counterintelligence and counterterrorism, Signals intelligence, Imagery intelligence, and Popular culture. Details and registration (when available) will be at this link. Questions may be addressed to conference organizer, Dr Mark Stout. The conference included the following panelists: Speakers: David S. Cohen, (Moderator) Deputy Director, CIA; Carrie Cordero, Founder, The Law Office of Carrie Cordero; Counsel to the Assistant Attorney General for National Security (former) Ben Huebner Privacy and Civil Liberties Officer, CIA; Dan Klaidman, Deputy Editor, Yahoo News; Jason Leopold, Investigative Reporter, VICE News. Speakers: Christopher Kojm, (Moderator), Visiting Professor, Practice of International Affairs, GW; Chairmain, National Intelligence Council (former); Susan Gordon, Deputy Director, National Geospatial-Intelligence Agency; Nancy Jackson, Deputy Assistant Secretary, Bureau of Population, Refugees, and Migration, US Department of State; Carla Koppell, Vice President Applied Conflict Transformation, US Institute of Peace. Speakers: Frank Cilluffo, (Moderator), Associate Vice President, GW; Director, Center for Cyber and Homeland Security, GW; Chris Darby, President and CEO, In-Q-Tel; Andrew P. Hallman, Deputy Director, Digital Innovation, CIA; Chris Inglis, Distinguished Visiting Professor in Cyber Security Studies, US Naval Academy; Deputy Director, NSA (former); Dr. Jason Matheny, Director, Intelligence Advanced Research Projects Activity; Matt Olsen, President of Consulting, IronNet; Director, National Counterterrorism Center (former). Speakers: John Brennan, (Moderator) Director, Central Intelligence Agency (CIA); Mohammad Masoom Stanekzai, Defense Minister of Afghanistan (acting); Nick Warner, Director-General, Australian Secret Intelligence Service; Alex Younger, Chief, British Secret Intelligence Service. Speakers: Frank Sesno, (Moderator) Director of the School of Media and Public Affairs, GW; Peter Clement, Deputy Assistant Director, Europe and Eurasia Mission Center, CIA; John McLaughlin, Distinguished Practitioner in Residence, Johns Hopkins University; Acting Director, CIA (former); Dennis Wilder, Senior Fellow and Assistant Professor, Georgetown University. Video of panels may be viewed at this link. 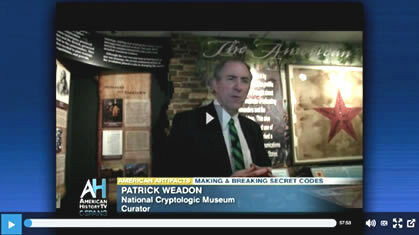 All GW Center for Cyber and Homeland Security videos are here. The President's Daily Brief: Delivering Intelligence to Nixon and Ford was a document release event by the Central Intelligence Agency, the Richard Nixon Presidential Library and Foundation, and the National Archives. The event was held Wednesday, 24 August 2016, in Yorba Linda, California. Director of Central Intelligence Agency John Brennan and Director of National Intelligence James Clapper were one of several speakers. A special invitation-only reception followed at close of program, hosted by AFIO President James R. Hughes. Previously classified President's Daily Briefs (PDB) from the Richard Nixon and Gerald Ford Administrations produced by the CIA were released on Wednesday, 24 August, at the Richard Nixon Presidential Library and Museum in Yorba Linda, California, at a symposium from 1:00 - 4:30 pm. The event featured panel discussions and remarks by CIA Director John O. Brennan, Director of National Intelligence James R. Clapper, senior Intelligence Community historians, and leaders from the academic and archivist communities. AFIO's president, James R. Hughes, hosted a post-conference reception and met with many members and other attendees. The President's Daily Briefs (PDBs) contain intelligence analysis on key national security issues for the president and other senior policymakers. Only the president, vice president, and a select group of officials with high-level security clearance receive the daily briefing, which represents the Intelligence Community's best insights when confronted with threats, as well as opportunities related to our national security. This public release highlights the role of the PDBs in foreign and national security policymaking. This collection includes the PDBs published during President Nixon's term from January 1969 through the end of President Ford's term in January 1977. 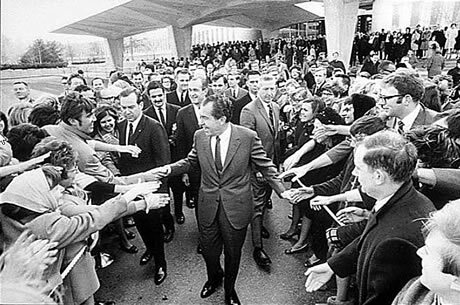 These documents offer insight into intelligence that informed presidential decision-making during critical historical events including: the Vietnam War, President Nixon's Trip to China, the OPEC embargo, and the Arab-Israeli War. The declassified documents in this release event were posted on the CIA website here. This collection was assembled as part of the CIA's Historical Review Program, which identifies, reviews, and declassifies documents on historically significant events or topics. You can view video of presentations at event here. CNN's TV Series "Declassified" starts Episode 1 with "Trigon: The KGB Chess Game"
The CNN TV Series appears each Sunday. In Season 1, Episode 01 - "Trigon: The KGB Chess Game" - 45 minutes, we hear from CIA Operations Officer Marti Peterson, CIA Chief of CI James Olson, and KGB Maj. Gen. Oleg Kalugin discuss covert operations conducted by Marti in Moscow. Watch as Marti "goes black" - gets out of the embassy without KGB surveillance to obtain stolen, crucial information on nuclear arms and US-USSR confrontations. Episode covers the SR100, dead drops, going black, Trigon, L-pills, concealment devices, camera pens, women case officers, and the useful outcome -- the 'take' -- from this operation. The series provides factual accounts of America's covert operations told firsthand by the officers who lived it, and includes access to the often complicated, hidden world of covert operations and espionage. Series is hosted by former US Congressman/former House Intelligence Committee chair and current CNN national security contributor and AFIO member Mike Rogers. Previously cancelled by ABC TV, the counterespionage series based on the successful hunt for CIA traitor Aldrich Ames continues to be released...slowly on ABC.The Assets, an eight-part miniseries, is based on the real life events of CIA counter-intelligence officer Sandy Grimes (Jodie Whittaker). 1985 is the backdrop to the final showdown of the Cold War when Sandy and her partner Jeanne Vertefeuille (Harriet Walter) vow to find the mole that turns out to be the most notorious traitor in US History [before Edward Snowden]: Aldrich Ames (Paul Rhys). Sandy is in a race against time to save the Soviet intelligence officers from being caught and killed. 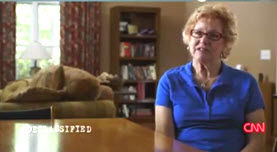 Living her own double life at home, this beautiful wife and mother vows to stop at nothing until she uncovers the truth. The Assets looks inside the personal stories as told by the keepers of the nation’s secrets: the CIA. 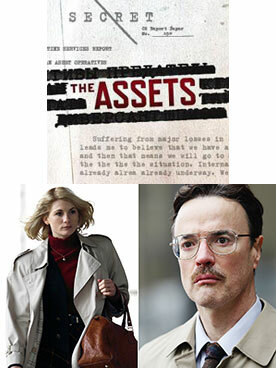 The Assets stars Paul Rhys as Aldrich Ames, Jodie Whittaker as Sandy Grimes, Harriet Walter (Babel) as Jeanne Vertefeuille, Stuart Milligan (Jonathan Creek) as Art O'Neill, Julian Ovenden as Gary Grimes, Christina Cole as Louisa, and Ralph Brown as Lawrence Winston. The Assets is based on the book Circle of Treason: A CIA Account of Traitor Aldrich Ames and the Men He Betrayed by Sandy Grimes and Jeanne Vertefeuille. Morgan Hertzan, Rudy Bednar and Andrew Chapman executive produce the series. The Assets is produced by Lincoln Square Productions. ABC started running The Assets on January 2nd but suddenly pulled the series after two episodes -- "My Name is Aldrich Ames" and "Jewel in the Crown" -- without explanation. The network then announced the show would return, ran two episodes in June, pulled the show again. The video runs approximately 1 hour. 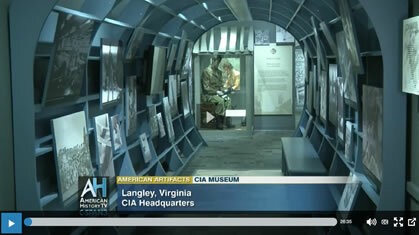 Theme covered: The CIA has responded to changing national security needs. The early CIA, staffed by former OSS men with Special Ops expertise, succeed in countering the Communist subversion of Italy, Greece and Turkey. Political interference however, led to the disastrous Bay of Pigs fiasco. Special Ops were replaced by analysts who sought to inform policymakers on all they needed to know. But without HUMINT, analysts failed to answer the most critical intelligence question of the time, the "bomber and missile gap." Eisenhower answered the question with high tech reconnaissance, beginning with the U-2 and Corona satellites, which also helped in the Berlin and Cuban Missile crises. With the collapse of the Soviet Union, followed by challenges of global Islamic terrorism, American intelligence has returned to an updated version of Special Ops, i.e., integration of HUMINT, analysis, high-tech weapons, such as the Predator, all working hand-in-glove with Special Forces based in Florida. 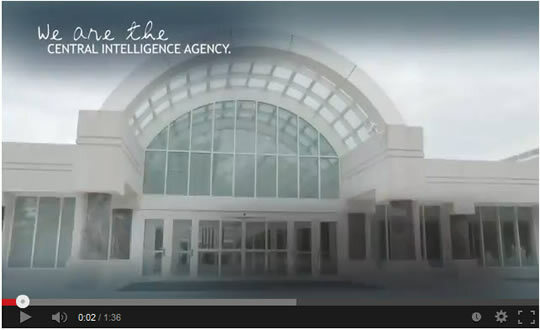 For years, women have been making important contributions to the Central Intelligence Agency. 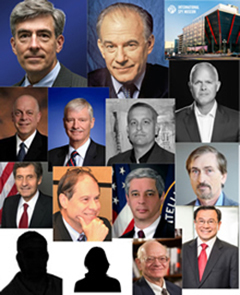 Today, nearly half of the CIA is female, and women have been promoted to five of the CIA's top eight positions. NBC's Ann Curry reports. recorded 6 December 2013 at AFIO Headquarters. 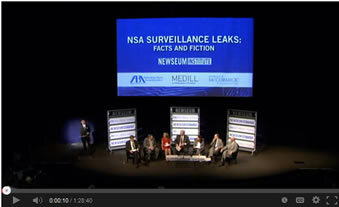 "In 2014, NSA to Face Winds of Change." VIDEO: The National Security Agency will have a new leader and possibly new procedures after a difficult year in which many secrets were leaked, sparking global criticism of its surveillance activities. VOA's Kent Klein has more here from his interview with these two officials and others. 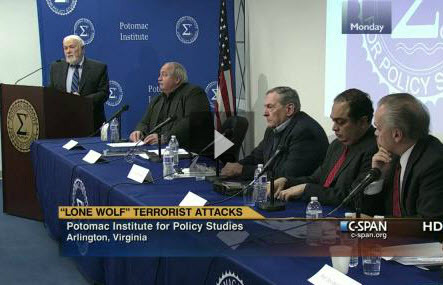 AFIO's chairman, Spike Bowman, was one of the panelists talking about the growing threat of "lone wolf" domestic terrorist attacks. "Lone wolf" is a term associated with notable attacks such as the shooting at the Fort Hood, Texas, Army base, the bombing at the Oklahoma City federal building, and the 2013 shootings at the Washington, D.C., Navy Yard and at LAX airport. AFIO's chairman, Spike Bowman, was one of the panelists talking about organized crime as a national security threat, including the effects of organized crime on the security of New York City, and what should be done about it. 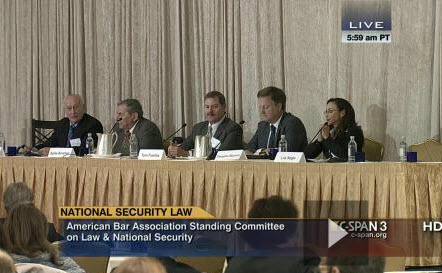 This event took place at the America Bar Association's annual national security conference. on CIA Uses of Intelligence. 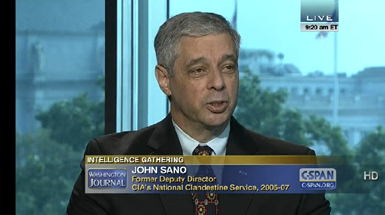 John Sano, who oversaw the day-to-day management of the CIA's covert operations as the former deputy director of its National Clandestine Service, talks about how the CIA gathers and uses intelligence. Features AFIO's Chairman, Spike Bowman, and board member Stewart Baker. ZERO DARK THIRTY: For a decade, an elite team of CIA intelligence and military operatives, working in secret across the globe, devoted themselves to a single goal: to find and eliminate Osama bin Laden. This is the story of history's greatest manhunt for the world's most dangerous man. 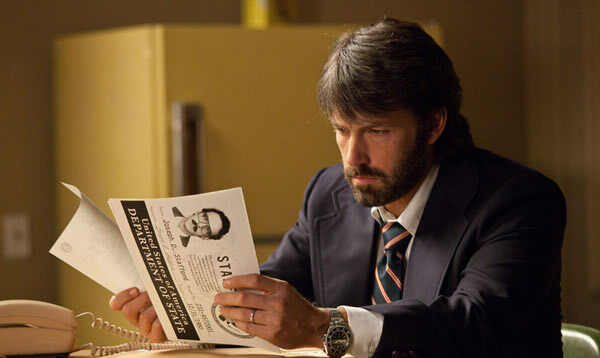 Book is tied to the October release of the political thriller film Argo (starring Ben Affleck as Mendez). Details of the dangerous operation inject strong suspense and excitement into the closing chapters. CIA has declassified Extraordinary Fidelity - a moving one-hour documentary about two CIA Officers (and two pilots) on a dangerous 1952 mission in the Manchuria region of northeast Communist China. They are shot down, lost to all back home, tortured, and were in-and-out of solitary confinement for decades. How the operation went awry, the betrayals, the methods each used for keeping sane and motivated under unending imprisonment, was compounded by the fact that, back home, they were MIA and later presumed dead since China never acknowledged -- for years -- their survival and capture. 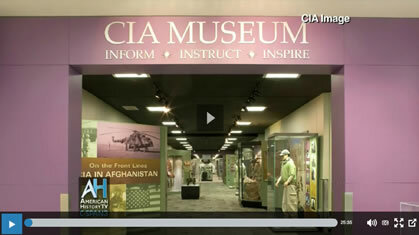 The documentary, produced by CIA and never aired outside headquarters, is now available for viewing on YouTube. The two pilots died but CIA officers - Richard G. Fecteau and John T. "Jack" Downey - were freed in 1971 and 1973, respectively, and have gone on with their lives devoid of bitterness and have continued to excel in the new paths they have taken. or click on image above. We recommend you take the hour to view it. When the rescue of a kidnapped CIA operative leads to the discovery of a deadly terrorist plot against the U.S., a team of SEALs is dispatched on a worldwide manhunt. As the valiant men of Bandito Platoon race to stop a coordinated attack that could kill and wound thousands of American civilians, they must balance their commitment to country, team and their families back home. 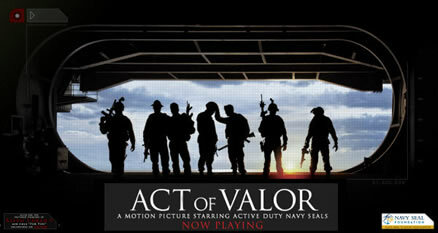 Act of Valor uses active duty U.S. Navy Seals as actors. The characters they play are fictional, but the weapons and tactics used are real. 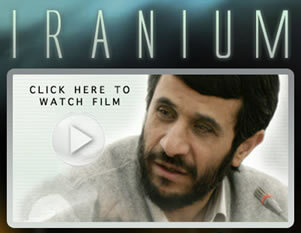 For a limited time, entire film can be viewed online at no cost. We urge you to take the time to do so now. A suspense-filled glimpse into the corridors of political gamesmanship where leaked intelligence community doubts about the lack of any serious threat of WMDs in Iraq, comes up against an administration hellbent to justify an invasion of Iraq to bring about regime-change. The film is based on the autobiography of the same name of CIA National Clandestine Services [NCS] officer Valerie Plame [Naomi Watts], whose career was destroyed, and marriage strained, when her covert identity was exposed by White House minions, in a campaign to neutralize her and to discredit her husband who released the findings not meant for public release, when it was clear his assessment would not support administration goals. But the situation was not as simple as the book and film would have us believe. As a NCS officer operating as a "NOC" [non-official cover officer], working in CIA's Counter-Proliferation Division, Plame leads an investigation into the existence of WMDs in Iraq. Plame's husband, diplomat Joe Wilson [Sean Penn] -- a well-known critic of the Bush administration -- is drawn into the investigation when he is assigned [by whom?] to substantiate an alleged sale of enriched uranium from Niger. His classified findings are that there was no sale and likely no WMDs. But when the administration ignores his findings and uses the issue to continue its call to war, Wilson violates the secret nature of his assignment and writes a New York Times editorial outlining his conclusions, igniting a firestorm of controversy. The WH sees the editorial, by the husband of a CIA officer who likely played a role in cherrypicking Wilson for the assignment, as nothing less than a deliberate endplay, and a blatant, politically motivated betrayal of decisions that should have remained in the hands of the President and his advisors who, alone, were the ones to decide which facts to accept or ignore from a vast number of inputs arriving from intelligence collectors and analysts. Misbehavior on both sides. There still is little agreement on where the betrayals were greatest, but the deliberate exposure of Valerie Plame's undercover status was unconscionable for it put the lives of scores of sensitive operations, proprietaries, other officers, and intelligence agents at risk in countries that quickly arrest and often kill entire families found to be aiding CIA or other western services. 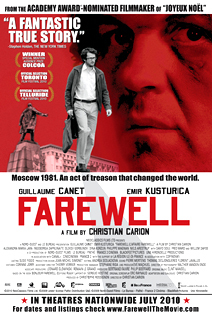 In his own way, Farewell managed to change the world, by avoiding traditional espionage methods too well known to the KGB and by not asking for any financial compensation whatsoever - much too capitalist for his taste. He simply followed his destiny, so that a new world might dawn for all his fellow Russians, but especially for his son.